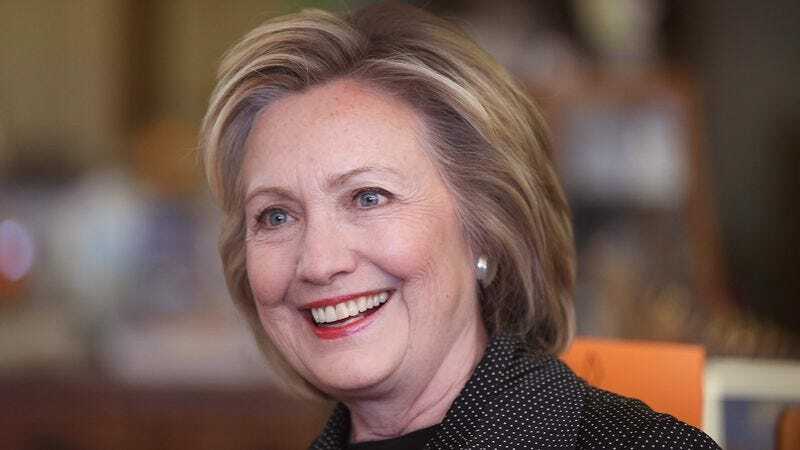 NEW YORK—Smiling at her good fortune following the unexpected discovery, Democratic presidential candidate Hillary Clinton was reportedly pleasantly surprised Friday upon finding an old $20,000 donation check in her coat pocket. “I was just headed out the door and was digging around for my keys, and I just happened to find a 20-grand check I had completely forgotten about crumpled up in there,” said Clinton, who noted the $20,000 contribution was stuffed way at the bottom of her pocket, and speculated that it had probably been down there for about eight years. “Sometimes, I’ll find a few $1,000 checks in my pants pockets or in the couch cushions, but finding $20,000 is actually a nice little pick-me-up. It’s just a delightful way to start the day.” Clinton added that she would probably use the unexpected find to treat herself to something nice, like a round of harsh anti–Bernie Sanders attack ads in Wisconsin.